Does your baby wake multiple times at night, rise early in the morning or take short naps? Are you exhausted and overwhelmed? If so, I'm sure you're ready for a change. I've been there! But, I've also found that many moms are SO ready to sleep better but just aren't sure how to do it - or lack the energy to pour over the sleep books and blogs to find the answers. Don't worry! I get it - and I've done all of the work for you! Through the Mommy SOS 5 Day Sleep challenge, you'll get only the important stuff. I've helped literally thousands of families to sleep better, and I've figured out what really matters when it comes to creating healthy sleep patterns for your baby or toddler. Over the course of 5 days, you will receive science backed information and actionable steps to put into place - each and every night! You'll also become part of a supportive community of other moms - and gain direct access to me so you can ask any and all questions you may have about the challenge and your baby's sleep. Seriously, it's time for a change. Start the new year off right and have your whole family sleeping - in just 5 days! You don't have to sacrifice your sanity, health, relationships and well-being anymore. Join us - and Save Your Sleep! 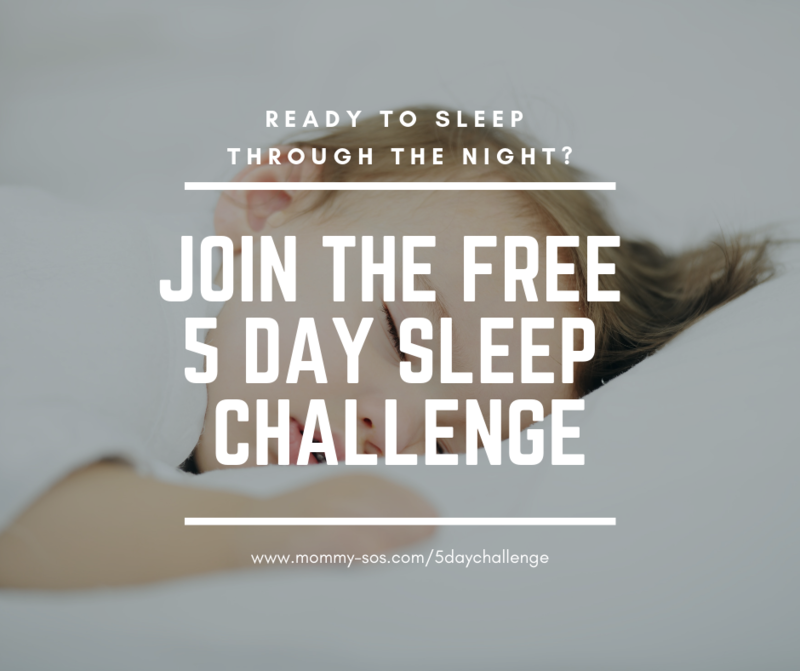 The Mommy SOS 5 Day Challenge has been carefully crafted to share with you all of the most important aspects of baby sleep - and to really empower you to begin making changes immediately. access to the exclusive Mommy-SOS Challenge Facebook Group. In the group, you'll be able to connect with other moms and get direct access to me. Ask your own personal questions, learn from other's questions and comments and find community support - all in one exclusive group designed just for challenge members. I'm so ready for sleep! We begin on Monday, March 11th! I am so excited that you've decided to take this step! I've helped thousands of women - from all around the world - to improve their baby's sleep. And I'm here to help you too! Check your inbox to make sure you're receiving the emails. (It may take a few minutes to arrive, but if you don't see it then be sure to check your spam/junk folder. To make sure the emails arrive in your inbox each day, please add our email address to your address book (jennifer@mommy-sos.com). You’ll also want to manually move the challenge emails from your promotions folder to your inbox so that they don’t get lost in a sea of unread emails. 1. Log in to your gmail account and click on the “promotions” tab. 2. Find an email from me and drag it over to your “primary” tab. 3. A box will pop up and ask if you want it to do this automatically in the future…and the answer is yes!